40+ sessions from 20+ Jain speakers, including Acharya Lokesh Muniji, Sadhviji Shilapiji Maharaj, Samanijis, and Dr. Sohan Lal Gandhi. Setting up a Jain mandir at the entrance of the Exhibit Hall at the Parliament, which will be the central attraction of the Exhibit Hall. At the 2015 Parliament in Salt Lake City, a similar mandir was constructed and was a highlight of the main gathering area throughout the Parliament week, right at the entrance of the Parliament in front of registration. Sponsoring the Ahimsa Award given to a non-Jain recipient that recognizing for exceptional contributions that enhance and strengthen the interfaith community through commitment to nonviolence. This award was first given at the 2015 Parliament in Salt Lake City, and we hope to institutionalize it as a permanent token of the Jain community's efforts and participation in the Parliaments. 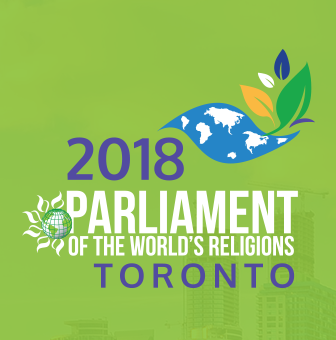 Learn more about this year's Parliament, November 1-7 in Toronto, Canada click here. Please find the flyer promoting event to Jain communities here.